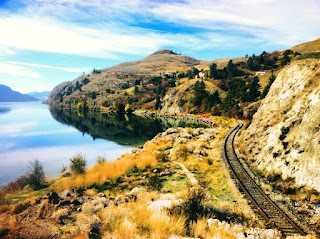 Beelineweb.com | Official Blog: The Okanagan Rail Trail Project! 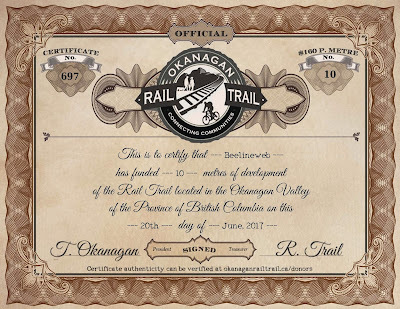 The Okanagan Rail Trail Project! When you know something amazing is on the horizon, it's hard to wait. 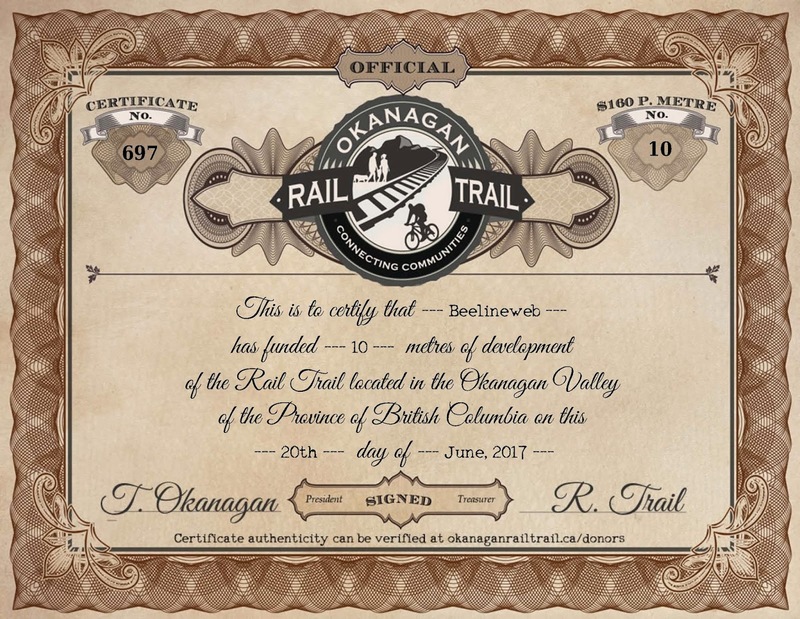 So with the development of the Okanagan Rail Trail underway, we wanted to do our part to help ensure it gets completed sooner rather than later. Beelineweb.com is now one of many community members to help fund construction of the trail. Our donation will support the development of a 10-metre section, and we couldn't be more excited to be part of the incredible effort by our communities to make it all happen. After all, when a generous individual like George Galbraith, a Vernon resident, donates $150,000 to the cause and matches additional donations up to that same amount, it's easy to get into the spirit. Several generations of Okanagan residents have already helped make this valley special. Now we get to help add to their legacy. Want to Make Your Own Donation? The Okanagan Rail Trail project still needs more funding for its final stage. With your help, this project will move a little closer to completion. Then, we can all benefit from one of the most extraordinary amenities our valley has ever had. Make a donation online and receive a charitable tax receipt!